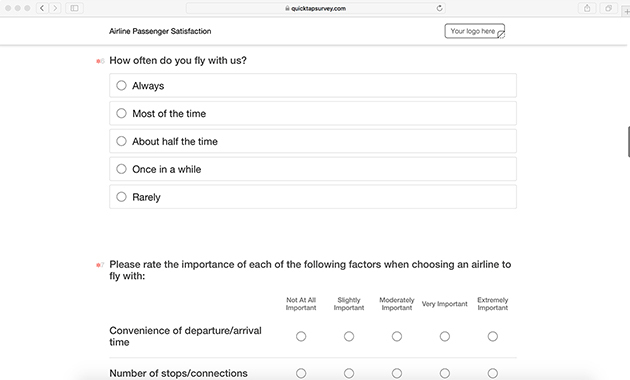 Passenger satisfaction surveys are an important part of staying ahead in today’s competitive aviation industry market. 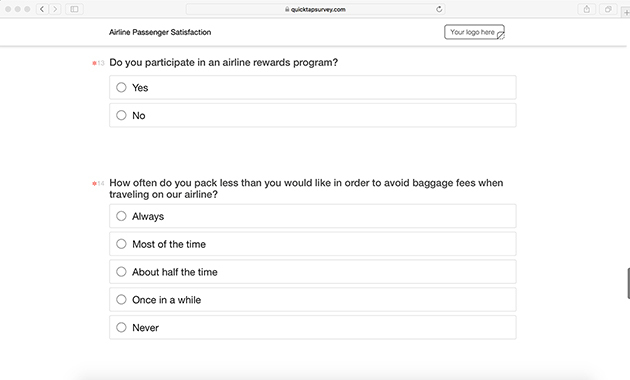 The Air Travelers in America survey recently revealed that passenger satisfaction dropped from 85% in 2016 to 81% in 2017. 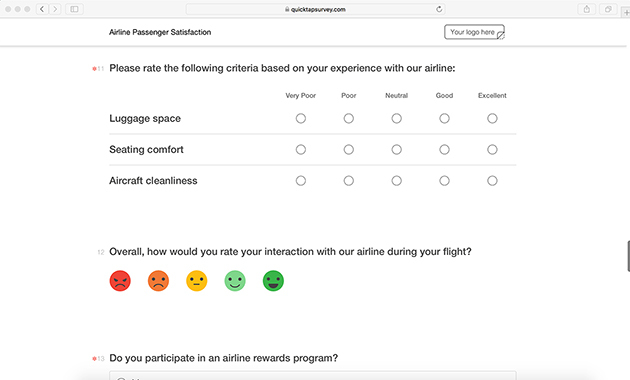 The airline industry has grappled with bad PR in recent years and understands the importance of prioritizing passenger satisfaction and lessening common pain points for passengers. 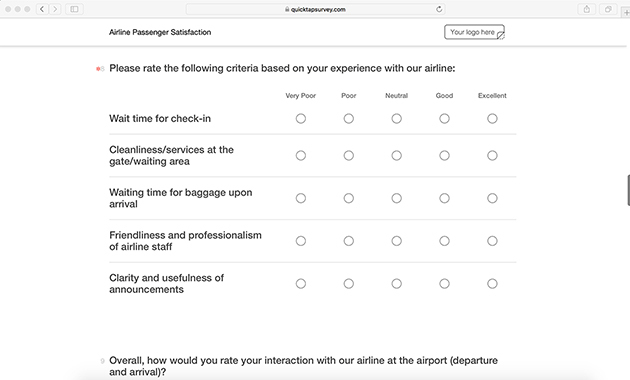 Social media in particular has done much to publicize infamous incidents of bad customer service, and now more than ever the perception that an airline does not care about the satisfaction of their customers can be very damaging. 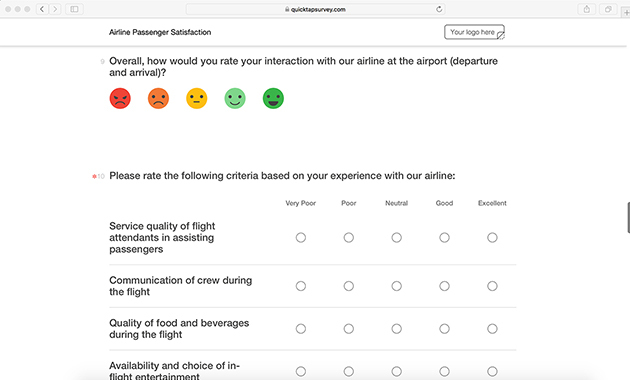 In order to stay ahead of competitors, it is important for your business to survey passengers and discover ways to improve the in-flight experience. 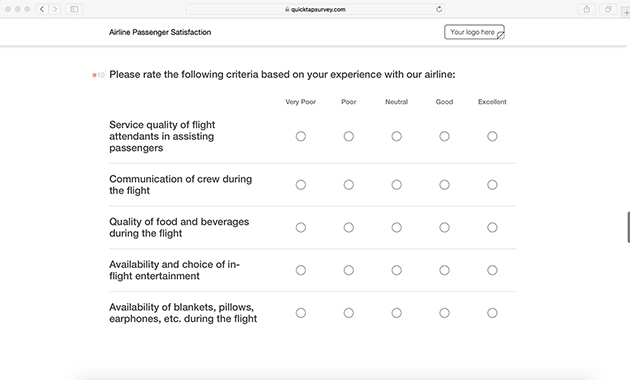 From adjusting the in-flight entertainment to changing the menu to improving comfort and technology, you won’t understand what advancements to prioritize for your passengers if you don’t ask! 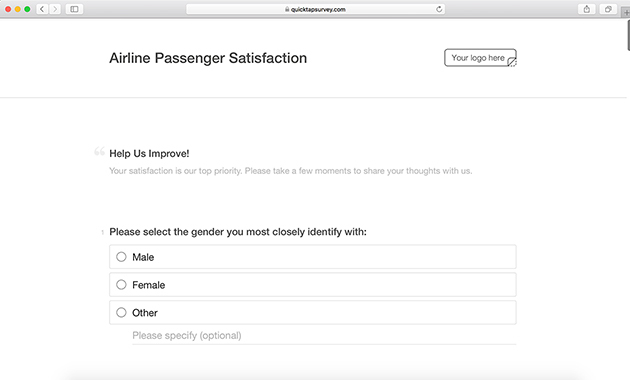 Gathering passenger satisfaction data is fast and easy with QuickTapSurvey's offline feedback application. 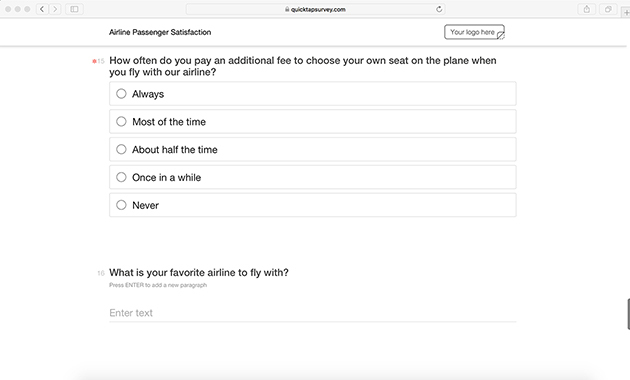 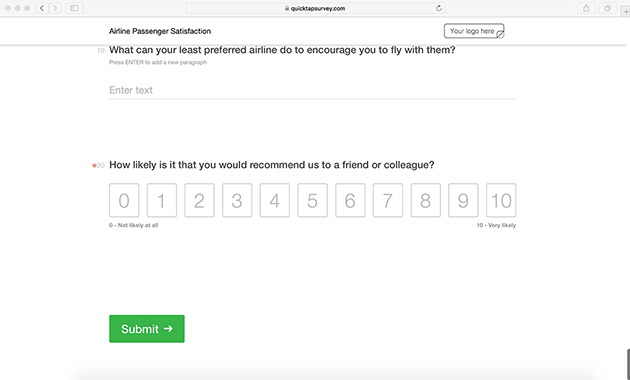 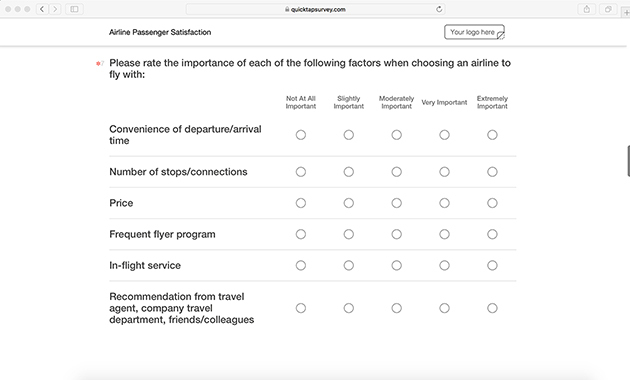 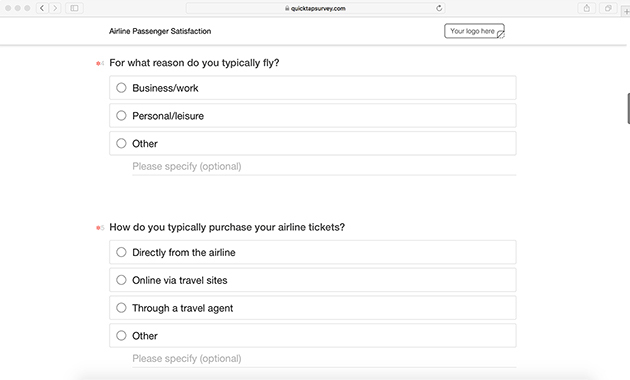 Watch our video to see our airline satisfaction survey template in action. 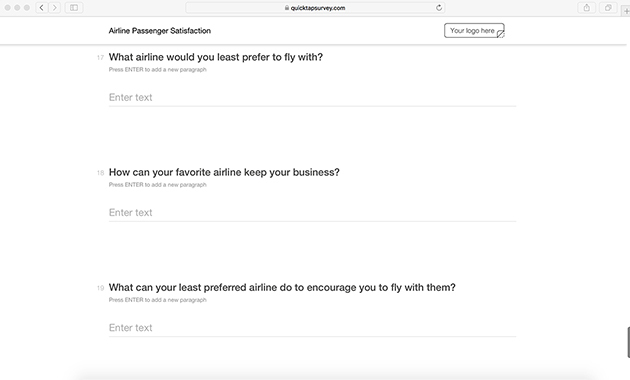 Get started now for free!